Annual worldwide corporate R&D spending broke through $700bn in annual investment, according to an annual analysis of R&D spending across 1000 global public companies by PwC’s Strategy&. It shows corporate R&D spending increased a steady 3% in the past year, bouncing back from less than 1% increase previously. However, in a global survey with 562 executive participants, R&D leaders expressed concerns about the growing heat of rhetoric about economic nationalism – and its potential impact on where companies invest in R&D how they conduct innovation. Overall, 52% of respondents say that a general move toward economic nationalism will have a moderate or significant impact on their companies’ R&D efforts. Major companies have been conducting some R&D outside their headquarters countries for decades. In 2015 it was determined that 94% of major corporations conduct their R&D in multiple countries. But increasing attention on regulations and policies for visas, labor movement, and the regulations governing the sharing of knowledge and technology are causing some companies to question how sustainable their integrated global innovation networks are. Nearly 33% of R&D executives surveyed, report that they have already felt the effects of economic nationalism on their R&D talent acquisition or retention because of visa or work restrictions — either losing employees, seeing less talent available, or in hiring more local talent. Although nearly 66% of all participants surveyed say they have not experienced pressure to change their approach to innovation in their headquarters country to date, 23% say they have already experienced such pressure in another country. Almost 50% of the companies in North America plan to make changes to their R&D programs over the next two years in response to the changing political environment. Survey participants believed US, UK, and China could be most at risk from potential changes in policy that could impact R&D investment. Both the US and UK’s talent flow could be at risk of potential disruption while China’s decline in corporate R&D spending and reliance on R&D investment from abroad could be at risk. Canada, Germany, and France are likely to gain if protectionist policies broadly become a reality. “It’s been a year of highs and lows for R&D. Record levels of investment, next to unprecedented drops in alignment between innovation and business strategies. There’s no doubt that uncertainty is causing concern for medium and long term plans, irrespective of whether policy realities actually follow political rhetoric.” comments Barry Jaruzelski, Principal, PwC US, Strategy&. “Although the goals and levels of investment in corporate innovation will likely not change if economic nationalism continues to develop, the global innovation model would need to evolve. At many companies, what is now a nimble, interdependent network may become a group of more autonomous hubs, hiring specialist technical talent in local regional markets and opening future R&D centers in regional markets. It could mean companies losing efficiency and taking on higher costs if it is not managed effectively,” commented Jaruzelski. Amazon is the largest spender on R&D in the Global Innovation 1000 study, the first time the top spender is a high tech firm. All top four spenders are high tech companies. Overall, Software & Internet industry companies continue to increase their year-on-year R&D spending, and the analysis shows that by 2018, Healthcare companies will surpass Computing & Electronics to become the largest industry in terms of R&D spending - the first time in 12 years of analysis. Overall, Computing & Electronics, Healthcare, and Automotive are the top three industry sectors and represented 61.3% of global R&D spending in 2017. R&D spending by companies based in China declined for the first time in the study, it increased in Japan for first time in 4 years, and continued to grow moderately in North America. 1. In 2016, worldwide R&D spending among the world’s 1000 largest corporate R&D spenders increased 0.04% in 2016 to $680 billion. 2. R&D intensity - the measure of R&D spending relative to sales – hit an all-time study high of 4.5%: a rise of 6% year on year amongst the world’s top 1000 R&D spenders. 3. Companies that deployed 60% or more of their R&D spending outside their headquarters country earned a premium of 30% on operating margin and return on assets, and 20% on growth in operating income over their more domestically focused competitors. 4. Uncertainty in economic policy may also be contributing to an unprecedented 19% drop in high alignment between innovation and business strategies within companies, making companies cautious about how to plan for their innovation strategy in the short and medium term. 5. The study finds that companies ranked in the list of top ten most innovative companies outperform the top ten R&D spenders on financial metrics including growth, EBITDA, and market capitalisation. 6. China’s corporate R&D spending had experienced double-digit growth rates for many years, but in 2017 the country saw a 3.3% decline in corporate R&D spending for the first time in the study. 80% of China’s R&D spend in 2015 was performed by companies headquartered in other countries. The combination of these trends for China makes the country vulnerable to potential disruptions of R&D investment coming from abroad. Strategy& is a global team of practical strategists committed to helping you seize essential advantage. We do that by working alongside you to solve your toughest problems and helping you capture your greatest opportunities. We bring 100 years of strategy consulting experience and the unrivaled industry and functional capabilities of the PwC network to the task. 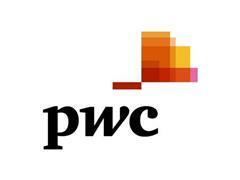 We are part of the PwC network of firms in 157 countries with more than 223,000 people committed to delivering quality in assurance, tax, and advisory services.